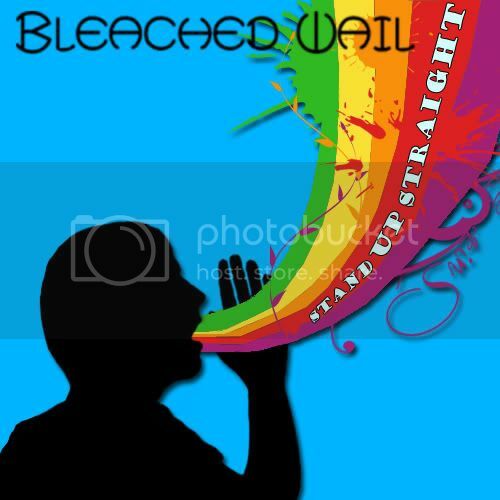 Bleached Wail from Stoke/Manchester describe their sound on their MySpace page as ska/alternative/funk. Do they deliver what they say on the tin? They pretty much do. The vocal work doesn’t seem to be too far off from a younger version of The Offspring frontman Dexter Holland either, which can only be a good thing. A good opening with ‘Mrs. Magic’, with a nice welcoming of guitar lines and inviting vocals. The repetition of the words “Mrs. Magic” is very contagious like a plague, but to some may come across as somewhat of an annoyance. However, the bridge towards the closing of the song has to be one of the best moments of the song, with blasting drums bringing intensity into their sound. What seems to be some fairly simple yet effective computer or guitar effects are the first things you’re to hear upon hearing ‘I Want This Man’s Life’, and also seems to be one of the more resentful and wrathful pieces from this band. It also features what is probably the band’s best riffs and songwriting skills to be exposed with this release. If you’re to only hear the one track, make this one it. ‘Be Bold’ is one of the more funky offerings the band has in their arsenal and finishes the release off nicely. With a chorus that sticks out the song’s title like a sore thumb and nifty guitar work throughout, they know how to get a memorable chorus implanted into your head. No, they’re not huge. And no, they’re not going to be the next Nirvana anytime soon, but this band certainly have the potential to cause a stir in their local scene in the very near future. What will happen with this lot after they’ve managed to achieve that feat is anybody’s guess.